Image: Frazer Harrison/Getty Images; Amanda Edwards/WireImage/Getty Images. This just might be the most amazing celebrity photo you’ll see all day. 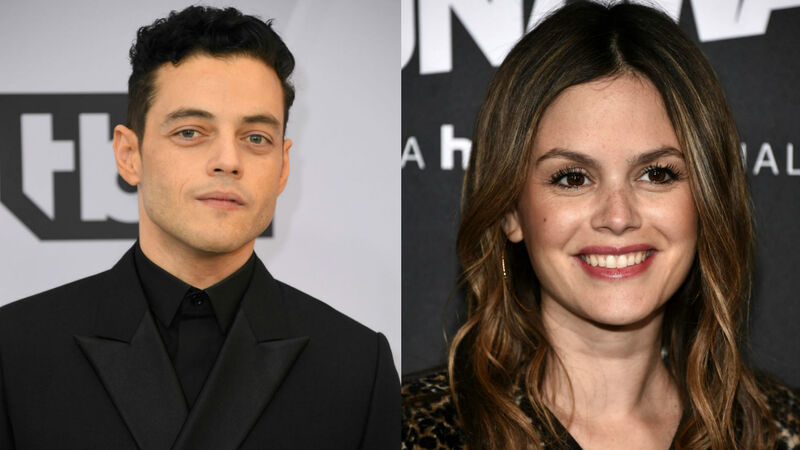 On Thursday, Rachel Bilson shared a throwback photo with Rami Malek that you just need to see to believe. It definitely earned Bilson first place for the best #TBT picture on Instagram. Based on the photo from way back when (an exact date is unknown), Bilson and Malek, who was nominated for an Oscar this year, have known each other for a very long time. They were both born in the same year (1981), they both grew up in Los Angeles, California, and according to Entertainment Tonight, they attended the same high school, Notre Dame High School in Sherman Oaks, California. E! News also reported that the two went to the private Catholic school together and graduated in 1999. That definitely looks like Bilson, but Malek doesn’t even look like the actor everyone knows today and who could quite possibly take home an Academy Award for his portrayal of Freddie Mercury in Bohemian Rhapsody. Of course, they’re both a lot younger than they are now. We all transform over time, right. As ET pointed out, many commenters think the person with Bilson resembles Malek’s twin brother, Sami Malek, more than the Golden Globe winner. Neither Rami nor Bilson have commented on whether or not it’s actually Sami in the photo, but either way, it still makes for an epic throwback. Bilson certainly deserves all of the applause for sharing it.